How Ubidots manages security and what are some best practices to keep your data safe. Security is important in all aspects of life - driving in a car, flying in a plane, uploading content to social media. The same is the case for your sensor data being sent to Ubidots. 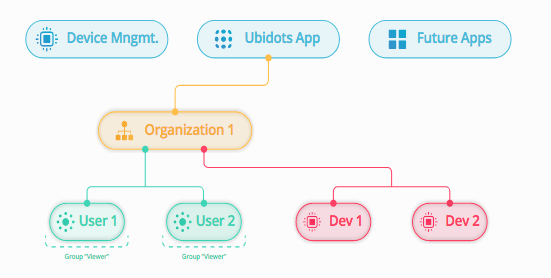 Ubidots is a streamlined platform designed for ease-of-use and quick deployment with security best practices built in along the way. For added layers of security, we recommend using your own firmware while utilizing Ubidots libraries for reference. Below you will find some of Ubidots API best practices and some preventative measures you can take to keep your data yours. To activate your SSL certificate, please see your Ubidots accounts and request the SSL for free and Ubidots will reply within 48 hours updating you to the activation of HTTPS in your application. Click here to learn more for how to request your applications SSL certificate. Ubidots supports the MQTT protocol, a lightweight publish/subscribe messaging transport optimized for IoT that supports TLS encryption. TLS (Transport Layer Security) provides a secure communication channel between a client and a server. Just like SSL, TLS is a cryptographic protocol that uses a handshake mechanism to create a secure connection between the client and the server. After the handshake is completed, an encrypted communication between client and server is established and no attacker could understand the content of the communication. You can check our certificates report here. If Client doesn't use the token for more than 6 hours, then it will need to request a new token using the API key. Token-based authentication has become the standard for web API's and Ubidots has also adopted it as a best practice. The token, which is not a cookie, is sent on every request and with no cookie being sent CSRF attacks can be prevented. We also support token revocation that allows you to invalidate a specific token from your account. Ubidots supports an alternative means for authentication, which is by specifying the Token in the URL as a parameter in the form of "token=". We enabled this to help you build faster prototypes as some devices might require extra coding to set HTTP headers, making it simpler to just use the Token in the URL. However, when you go to production, keep in mind that we recommend sending the token in the HTTP headers, using the "X-Auth-Token" HTTP header field rather than the "token=" query parameter as it provides an added level of security. Although we utilize HTTPS to ensure that all requests are encrypted for network transport, there is a possibility that the plain-text URL, with the value of the token, might appear in logs of HTTP servers which process the requests. Additionally, there are spyware exploits whereby certain browser extensions track and aggregate browsing behavior and sell that data to third parties. Again, use of token as a query parameter could lend itself to unintentional exposure of your token. Ubidots Industrial IoT licenses are hosted by default on IBM's Toronto Datacenter. Industrial users can request deployment in a different datacenter or leading cloud provider. ISO 270001: a widely-adopted global security standard outlining the requirements for information security management systems and provides a systematic approach to managing company and customer information based on periodic risk assessments. SAS 70: Statement on Auditing Standards (SAS) No. 70, is a widely recognized auditing standard developed by the American Institute of Certified Public Accountants (AICPA). It represents that a service organization has been through an in-depth examination of their control objectives and control activities, which often include controls over information technology and related processes. Authentication, authorization, and accounting (AAA) is a term used to describe a framework that successfully controls access to computer resources, enforcing policies, auditing usage, and providing the information necessary to bill for services. Ubidots Industrial license allows you to gain control over who can access your device data at different levels: apps, customers and end-users. Apps Permissions: Set which organizations can access a specific app. Organization Permissions: Set which devices, dashboards and users belong to a specific Organization and can access it. User Permissions: Add users to organizations, set passwords or revoke access when needed. Ubidots has committed itself to being a safe place for your IoT development, exploration, and deployments. Using the best practices provided in this article and limiting access with Ubidots Multi-AAA user management, you can ward off malicious intruders from your valuable insights.